Friday was probably my favorite cycling day (except for the rainy bit at the end). We bicycled from Rocamadour to Sarlat, and once we got to the river, it was pretty flat. But first, ducks! La Ferme des Campagnes is a duck farm near Rocamadour. 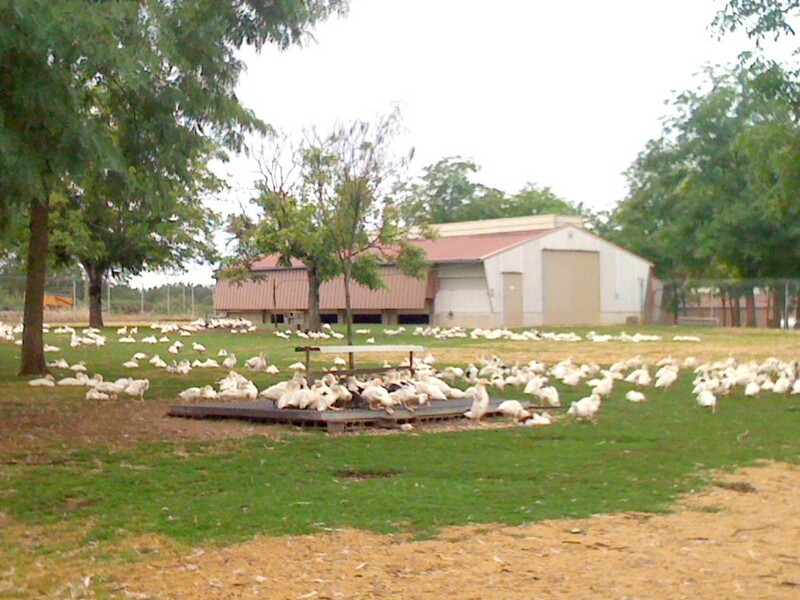 Here ducks are raised for 3 months and then force fed for 12 days prior to slaughter. They become foie gras, confit de canard, cassoulet and more. We observed the gavage (force feeding) and a video about the business. The farm (heavily dependent on tourists) was very accessible. We also stopped in Souillac, where the able-bodied riders took a look at the cathedral (a sculptural and stained glass homage to St. Martin of Tours, as far as I could tell from the little flyer about it) and the Musée de l’Automate, a museum devoted to mechanical toys. The bulk of the ride was along the Dordogne River. It was lovely—a nice wide road, very little vehicle traffic, shaded with large trees and cooled by river breezes. It was a cool and misty day anyway, and I was very comfortable (although I was informed by my husband that I was the only one who was happy that it wasn’t hotter). We turned away from the river shortly after passing through Veyrignac and went north on a rails-to-trails bike path for about 12 kilometers. Here the going was a little tougher; it was starting to rain, and the (paved) trail had a pronounced cross slope. 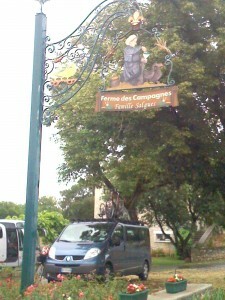 When we reached the end of the trail at the outskirts of Sarlat, I was wet and crabby. Tour leaders Enrico and Gwendal were waiting for me with the van, and offered to give me a lift the rest of the way, but some sort of stubborn pride had kicked in, and I declined. It was rush hour, and traffic was heavy, but my escorts (my husband and Enrico) just flanked me and we forced our way in through the cars. Some more uphills, some crazy downhills, a couple of traffic circles, and we were there. Another bike tour group was unloading at the hotel, and I got a little applause as I rolled into the courtyard. It really was – I was so pleased at how everything fell together. I’d have given you a standing ovation ;-) You must travel more. Your travelogue is wonderful. You could consider it a community service.